"I was worried sick about him." 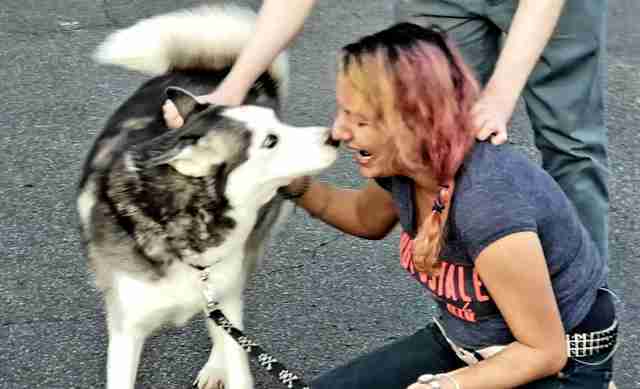 A loyal dog just reunited with his favorite person, who never stopped searching for him even though he went missing over two years ago. And the story of how they managed to find each other again is nothing short of epic. 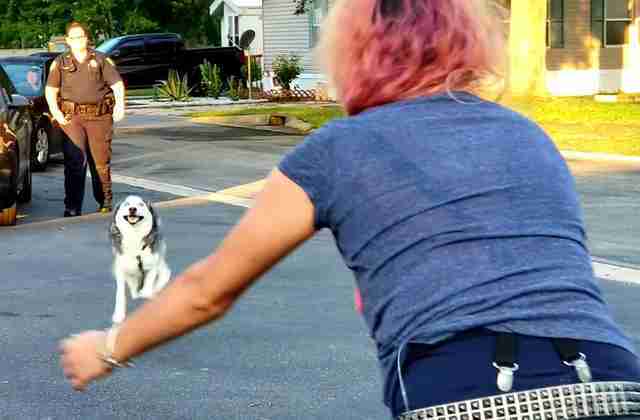 The husky first came into Kameroun Mares' life at a time when she needed love and companionship the most. Mares was being treated for acute lymphoblastic leukemia. It was just after getting chemotherapy in the summer of 2013 that she met the young dog and decided to make him a part of her family. She named him Semper Fidelis — "Always faithful" in Latin — and called him Semper for short. "He's always been faithful to me," Mares told The Dodo. But as faithful as Semper was, something still managed to tear Mares and her beloved dog apart. In 2016, Mares had to go to California from Florida for further medical treatments and her roommate at the time agreed to take care of Semper. But Mares got a call she never expected. "I was told by my ex-roommate that he was missing," Mares said. When she returned, she searched everywhere for Semper. When she had to move to California later that year, she continued to contact shelters in Florida. "For a year, I continued searching while in California, posting up fliers via pet sites, calling 15 vet places around were I used to live over there about him, calling the humane societies about him, shelters," Mares said. "[I] posted info about him on Facebook, lost dog forums, and pages and groups. Every day I waited for a phone call about someone finding him ... His microchip is registered to me since he was 3 months [old] ... yet I received nothing. I was worried sick about him, and missed him dearly." 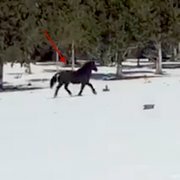 That's when Mares decided to get help. 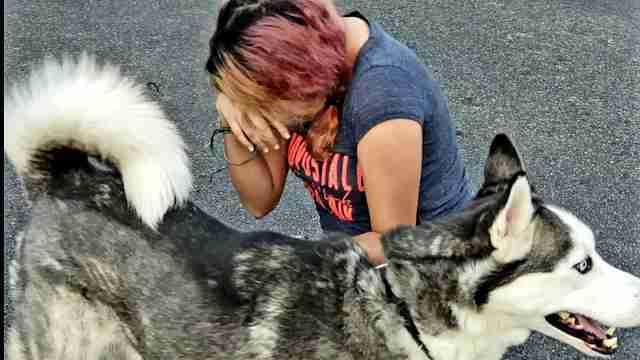 She asked a private investigator, Ana Campos, to help track down her beloved dog. "She had purchased a lifetime registration with AKC Reunite," Campos told The Dodo. 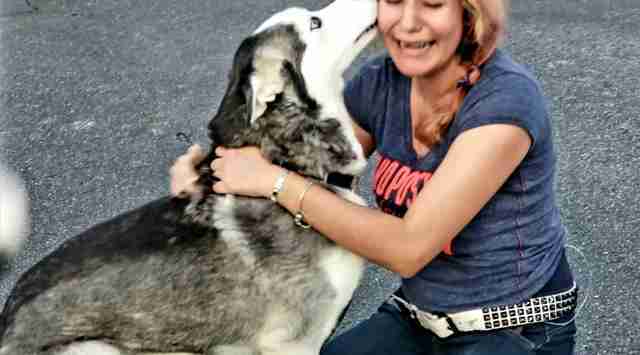 "A year into this someone suggested she check her AKC Reunite chip again. So she went to the humane society in May 2017 and they checked online ... That is when she discovered that a year earlier, on April 11, 2016, a woman added her name to Semper's chip." Apparently, the other microchip company didn't check to see whether an owner was already registered on Semper's chip. Campos found out that someone had put Semper on Craigslist for sale for $200 and that's why he had never shown up, despite all of Mares' searching. Finally, just the other day, Semper was reunited with Mares — and both the dog and Mares were overwhelmed with emotion. Mares broke into joyful tears and Semper was so excited he could not stop bouncing. "Being able to play a role in this reunion and being present was one of the best days of my life," Campos said. Semper is settling back into his family very well, taking long walks around his new neighborhood in California and learning the lay of the land with Mares (whose cancer is thankfully in remission). "He still remembers his commands and tricks that I taught him," Mares said. "My special favorite one is the 'go home' command ... I tell him, 'Semper, go home. Where's home? Go home.'" And Semper finds the exact right doorstep. "I see him as extension of myself and my heart," Mares said. "I am glad I have him back in my arms."